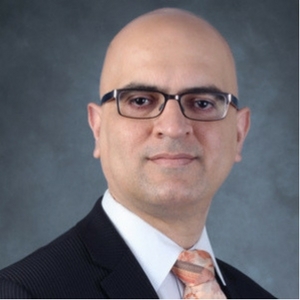 Dr. Navjot Singh is a leader in McKinsey’s Pharmaceuticals and Medicals practice and Public Sector Practice. He is the Managing Partner of the Boston Office and the Leader of the State & Local Public Sector Practice in N. America. His work is focused on the unique intersection(s) of Science, Medicine, Business, Investments and Government. Dr. Singh received a Ph.D. in Chemical Engineering from the University of Minnesota, an M.B.A. from Rensselaer Polytechnic Institute, and a B. Tech from Indian Institute of Technology. Prior to joining McKinsey, he was an R&D Executive at General Electric’s Global Research Center in NY. He is a co-holder of over 15 patents and has published in reputed journals such as In Vivo and Nature Drug Discovery. He is the Chair of the Board for the Greater Boston Chamber of Commerce, the Chair of the External Advisory Board of UMN, Department of Chemical Engineering & Materials Science, member of the Board of Overseers of Museum of Science, and member of the Commonwealth’s Commission on the Future of Transportation. A huge fan of creativity and passion, he enjoys hosting “Imagine Get-Togethers” in his house aimed at “Chief Cool Officers” on a variety of cutting-edge topics. On a personal side he has two sons and lives in Weston, MA, where he enjoys playing, coaching and watching a lot of basketball. He has also been recognized as Boston Business Journal’s Power 50 – 50 Most Powerful Professionals in Boston as well as recognized in the GK Top 100 list in Boston.